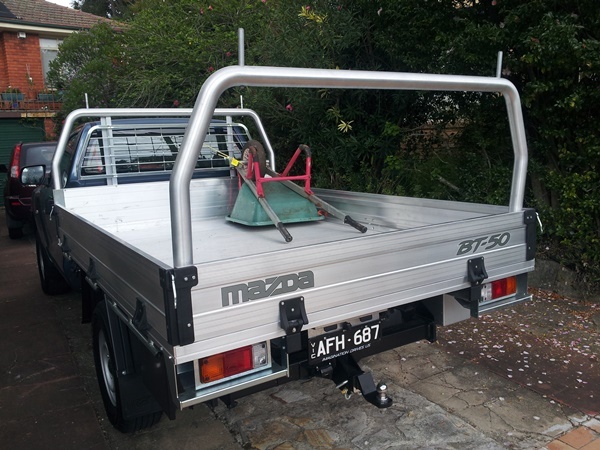 Often overlooked yet very practical is the 4×2 version single cab chassis Ute. Last week we had the Mazda BT50 version of this ubiquitous uniquely Australian vehicle. As is the case when we have such a vehicle it gets a fair workout shifting gear around and often moving heavy loads such as pavers, sand etc. I guess the key to my thoughts about the Mazda BT 50 XT 4X2 Single Cab Chassis Ute was that I really didn’t want to give it back. Part of the late 2015 update the BT 50 was an evolution of an already good design. With subtle changes to the front grill, lights and bonnet, 16 inch steel wheels and Halogen headlamps, the style is smoother and elongated. Internally the BT 50 XT is as you would expect with little key items such as reversing camera in the rear view mirror (which in strong sunlight was difficult to see) Bluetooth, power windows and external mirrors etc. The seats are cloth covered with height adjustment. For me they lack enough lumbar support and being 190cm tall almost all single cab Utes don’t have enough slide adjustment. However after a few hours I managed to find a relatively comfortable position. The steering wheel feels great in the hands, provides good feedback and allows adjustment for different drivers. It houses audio and cruise control buttons. The dash is clear and easy to read with central MFD and a 4 dial display. One thing that is good is the indicator and wiper stalks are clearly visible behind the steering wheel. The central stack is overly fussy for the controls however is clear and again easy to use. The 4 inch screen provides adequate information. Being the base model it lacks sat nav which can be inconvenient for trade people at times. The XT has an AM/FM radio, an MP3-capable CD player, an AUX socket, USB-audio input port (iPod compatible), 4 speakers with previously mentioned steering wheel audio controls as standard equipment. This features USB connectivity for portable audio players, Bluetooth® connectivity for mobile telephones, and voice control. Air conditioning is manual with the control panel in an easy-to-reach position on the centre console. It has three dial-type controls: left-hand temperature, blower speed, and right-hand temperature. With the climate control air conditioning, each temperature setting is shown by an easy-to-read digital display on the dial. To be honest this works just as well as some of the fancier complicated digital controls. The BT 50 Single CC is powered by the entry spec 2.2 litre in-line 4 cylinder 16 valve DOHC intercooled turbo diesel engine. This delivers maximum power of 110kw @ 3,700rpm and maximum torque of 375Nm @ 1,500-2,500rpm. This is mated to a 6 speed Automatic transmission driving the rear wheels. 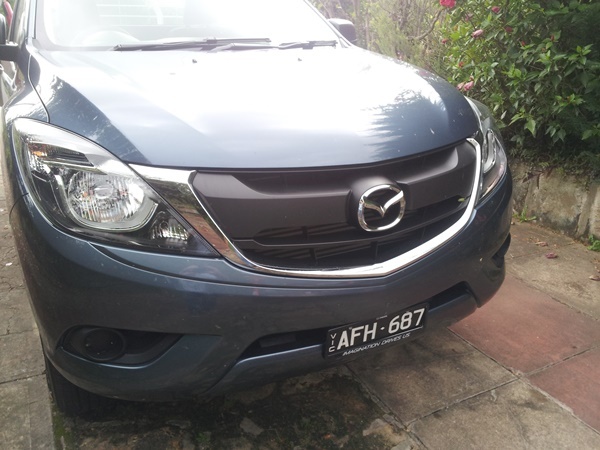 Fuel economy is reasonable at (combined) – 8.9 l/100km. The 2.2-litre common-rail direct-injection diesel engine has the same basic structure and fuel-supply system as the MZ-CD 3.2 I5 but has four cylinders. The cylinders each have a bore of 86.0mm and a stroke of 94.6mm for a displacement of 2,198cc. 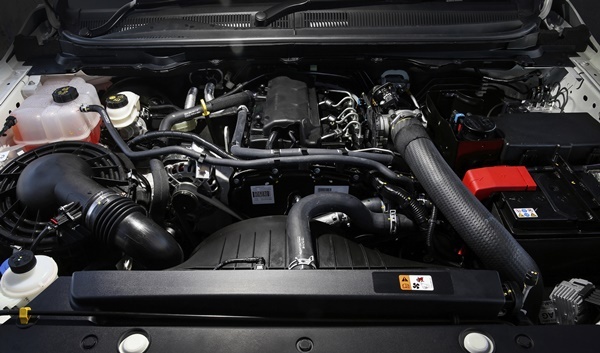 The engine features latest-generation common-rail injection technologies including the 1,800 bar ultra-high-pressure fuel system, which is tuned to suit the four-cylinder engine characteristics. Around town the engine feels a little sluggish from start, especially when you are used to the 3.2L. However surprisingly when fully loaded on the freeway it sat without effort on cruise control at maximum highway speed and never missed a beat. The load seemed to make little difference to the economy or performance of the Ute. Towing Capacity for the 2.2L Single Cab Chassis XT is a braked towing capacity of 2,500kg and an unbraked capacity of 750kg with a tow ball download of 250kg. We didn’t have the opportunity to tow with this vehicle so can’t comment other than to say that my impression is that it would tow with ease. The tray measured 2.6 x 1.8 m and has a payload of over 1.5t. 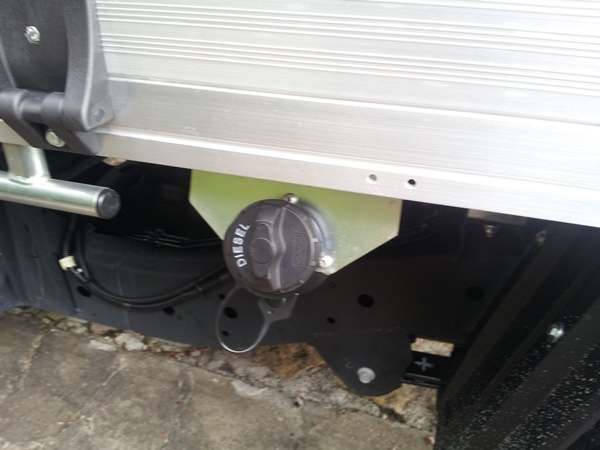 The tray itself was fitted locally and was robust, practical with extras such as internal rail tie down points, tail light protectors, two ladder racks, under tray water tank with tap and hand wash and under tray storage etc. However there is a gripe, the fuel filler is straight so filling up is a laborious process. But with a little bush mechanics it was fixed. I feel that the people that make Ute trays don’t actually fill them after they install, otherwise this design flaw would be fixed. Ride and handling was pretty good for an unladen Ute, with little rear bounce. Usually these Utes are kidney belters, but the BT 50 XT provides a reasonable ride. Handling is as you would expect, very light in the rear but better when loaded. This vehicle has NO sporty pretence at all, contrary to what some people may wish. 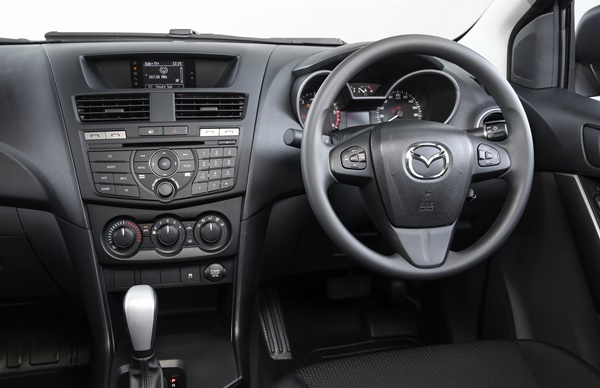 It is quiet inside, a product of the extensive work Mazda has done on reducing NVH levels. 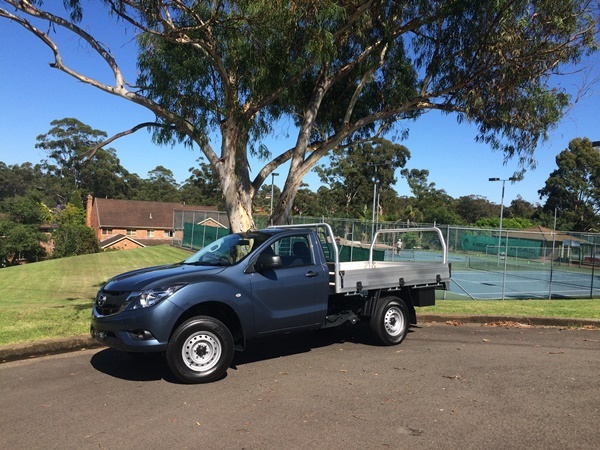 Overall the Mazda BT 50 4X2 Single CC Ute in the 2.2L, six speed automatic form is a very practical, comfortable and reasonably economical Ute. It will carry a hefty load with ease, cruise quietly and easily on the freeway and has a five star ANCAP safety rating, fixed price servicing and a 2 year unlimited kilometre warranty. 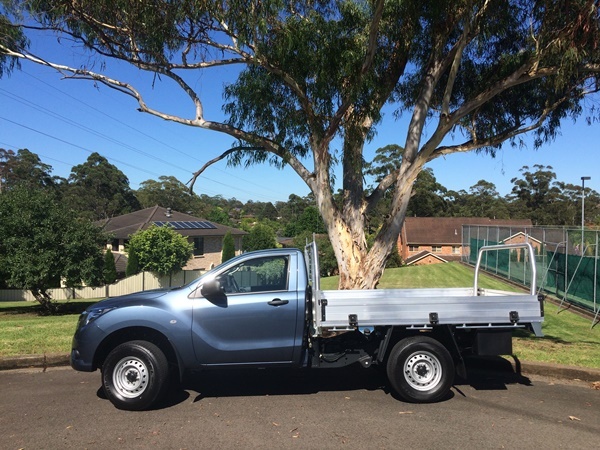 All this for around $33,000 RDAP in Sydney, I’d say that was very good value and well worth a look if you are in the market for a workhorse 2WD Ute.